Vicinity Centres has sold Tweed Mall for almost $82 million. 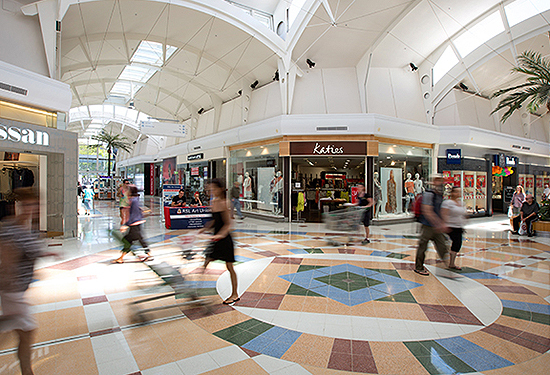 Vicinity Centres’ neighbourhood shopping centre sell-off has continued with the sale of Tweed Mall to ASX-listed Elanor Investor Group for more than $81 million. The major shopping centre investor, which is nearing the end of a string of shopping centre deals that will total around $1.5 billion, offloaded the centre on New South Wales’ far north coast for $81.25 million. The latest deal, expected to settle at the end of October, comes after Vicinity recently sold subregional centre Maitland Hunter Mall and neighbourhood centres Hilton Plaza in South Australia and Monier Village in Brisbane as part of a smaller, non-core portfolio of shopping centres worth about $250 million. Tweed Mall’s book value was assessed at $70 million at the end of June. The 23,135sqm centre, which sits on a 5ha tract of land, is anchored by a Target store and Coles and Woolworths supermarkets, two mini-majors, 51 specialty stores and 980 car parks. Tweed Mall has sold for more than $81 million. Vicinity Centres chief investment officer Michael O’Brien says the company’s asset divestment program is now nearing completion. “As part of our divestment program of approximately $1.5 billion, we have now agreed the sale of 11 shopping centres, for a combined value of $1.3 billion,” he says. Tweed Mall, built in 1973, was acquired by Vicinity Centres in 1998 and redeveloped five years ago.